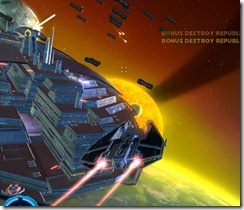 SWTOR Far Cradle Strike and Regnant Station Assault space missions guide for SWTOR patch 1.6. 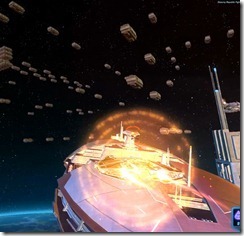 Far Cradle Strike (Empire) and Regnant Station Assault (Republic) are two new space missions introduced with Patch 1.6 and may require players to have some Grade 7 spaceship parts to complete it. Recommended Upgrades: This is the second easiest mission out of the six. Make sure you have Proton Torpedoes as you will need it to complete the mission. Otherwise, just buy the Grade 7 Improved Power Conversion Module from the fleet vendor for 300k and you should be able to complete the mission in a couple tries. If you want to be safe, get all Grade 7 parts as they will allow you to make bigger margins of error. 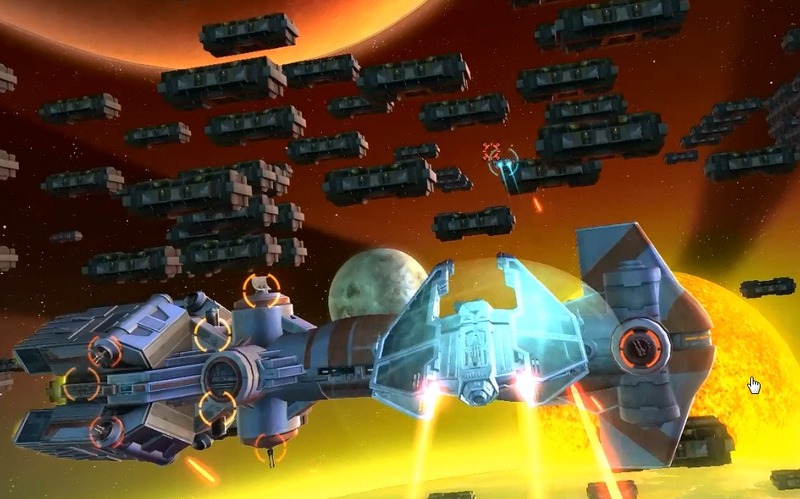 The Republic version, Regnant Station Assault, is largely identical except the enemies are switched around. 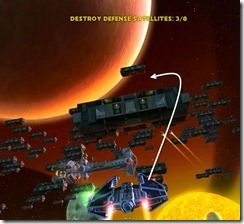 Start: The defense satellites takes about 2-3 missiles + some blaster fire to destroy if you are using Grade 7 components. 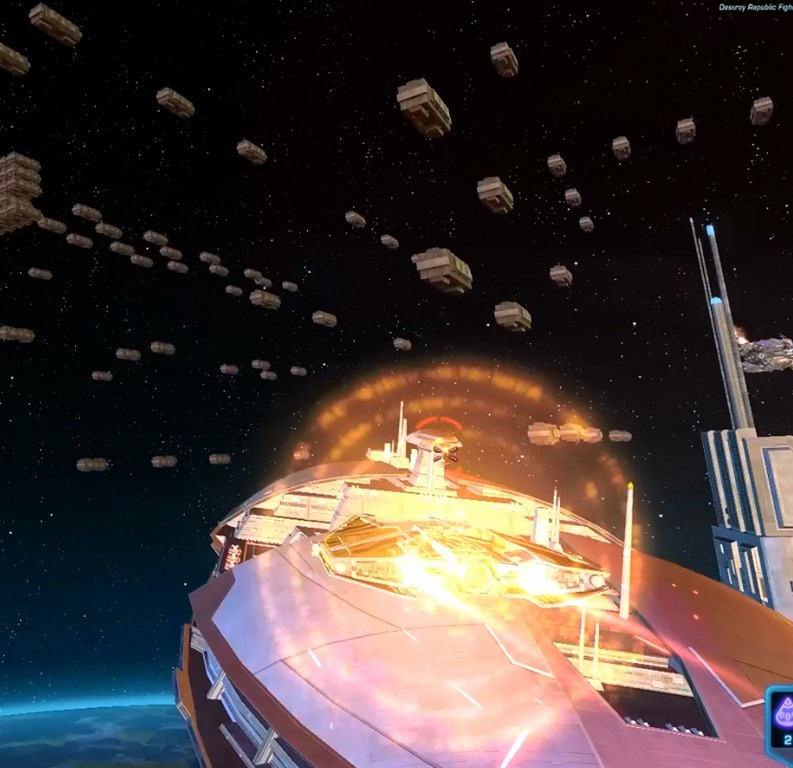 4m 46s Here is a fairly tricky part as you will need to fly over a crate (high chance of collision so make sure shield regen is up) and face quite a bit of incoming fire from enemy frigate and Jedi ship after. 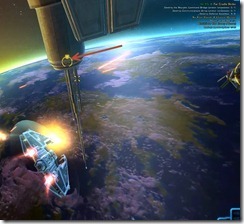 You will then make a loop and make a second pass over the frigate so make sure your regen shield while doing the loop. 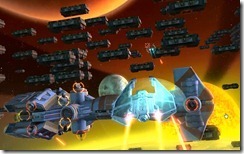 EMP would work great on the frigate on your first pass to lessen the incoming damage on the second pass. After making the two passes, you should have 4/8 defense satellites destroyed or close to it. 3m 53s is your first chance to shoot a proton torpedo at the Communication Array so don’t miss it. At 3m 19s, you will be making a second pass the Communication Array, allowing you to launch a second proton torpedo to finish the objective. 2m 49s You will be making a pass over the Destroyer and have your first opportunity to launch a proton torpedo at the Command Bridge. Pop your EWP here so make you immune to damage as you launch the torpedo. 27s Final pass and 2nd shot at the Command Bridge on the Destroyer. Use your EMP here if you feel like it. For anyone out there who may be struggling with these missions, this may be the best one to cut your teeth on. 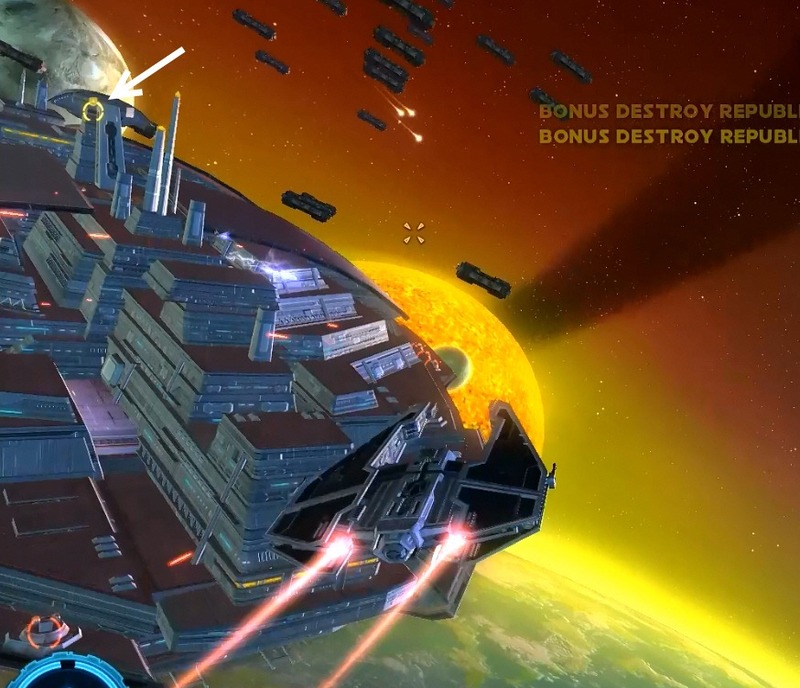 This one is a breeze if you have the grade 7 upgrades & follow all the advice here. The problem is getting those grade 7 parts. They’re all locked behind massive fleet commendation walls (350 fleet comms each) If you run all the other space missions, you can get about 40 a day… It’s just a massive grind for what feels like very little reward. The only reason I’m even trying for it is because of the look alike of the helmet that used to be available for BH, but was removed from game. unplayable for 90% of the players out there. These space missions are just wrong. I think once out of 10 times I almost finished. I have all the gear possible, still, makes me want to cancel my account; thats how bad these are. I agree. I can get Classic and Basic Commendations by easy daily missions, that I can do while watching tv. But those space missions are hard as hell – same rewards. You are completely freaking nuts.